Floral vector footage to create spring and nature images. Bright color graphics of blooming flowers with long overlapping stems. Curved silhouettes of leaves and stems. 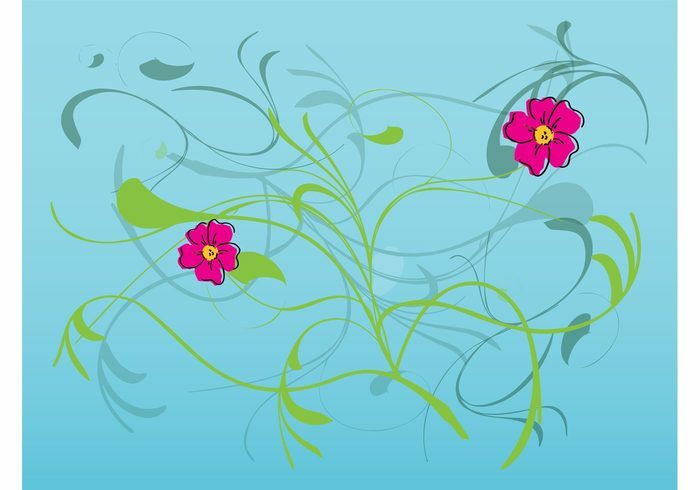 Free vector design to create flowers, floral, spring and nature designs. Download flowers for wallpapers and backgrounds.